The eight-part series, 'All or Nothing' was released by streaming service Amazon last week amid much fanfare. The fly-on-the-wall episodes focus on Pep Guardiola's magnificent efforts in winning last season's English title, with the producers boasting of their unprecedented access to the champions over the season. 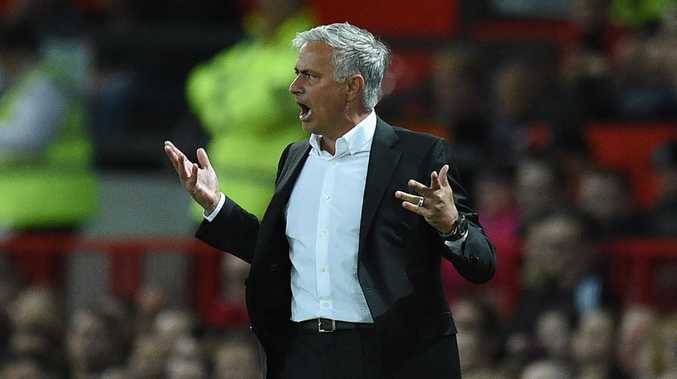 "I haven't seen it but I know a few things about the movie," Mourinho told reporters ahead of Sunday's clash at Brighton. "You don't need to be disrespectful to have a fantastic movie. "My reaction is if you are a rich club you can buy top players, you cannot buy class. That is my first reaction. "The second reaction is because I am in the movie I could ask for some royalties. "But if they send me one of the shirts they had in the tunnel when we played there, the shirts that were saying 'We did it on derby day.' If they send me one of these shirts, I give up about the royalties." Jose Mourinho is not happy with cross-town rivals Manchester City. The last comment referred to the Manchester derby at the Etihad Stadium in April when City had printed souvenirs in expectation of clinching the title against Mourinho's men, only for United to come from behind to win 3-2, delaying the title celebrations by two weeks. The footage features the Old Trafford derby, won impressively by City in December, and has the narrator, Oscar-winning actor Ben Kingsley commenting: "It is Guardiola versus Mourinho once more. Possession versus defence; attacking football versus park-the-bus." 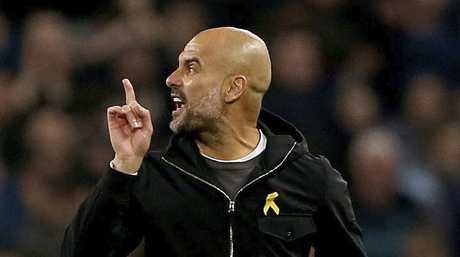 There are also scenes of City supporters chanting "Park the bus" during the derby, as well as Mourinho's post-match press briefing at Old Trafford in which he claims, unconvincingly, that his team had not just been outplayed by Guardiola's. City's player-of-the-year Kevin De Bruyne, allowed to leave Chelsea by Mourinho when he was in charge at Stamford Bridge, is also central to the documentary. Mourinho is shown at a Champions League press conference in the autumn of 2013 being grilled about De Bruyne's absence and storming out after explaining that the Belgian had trained poorly and played badly in a League Cup tie with Swindon. Asked whether that clip, in particular, had annoyed him, Mourinho joked: "You know, a movie without me doesn't sell much. I needed to be there." 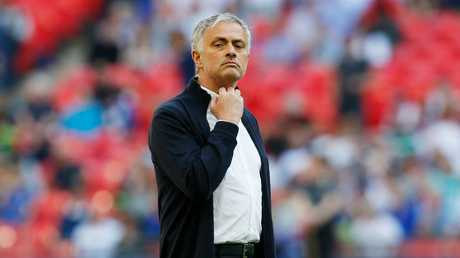 Mourinho, however, does not expect the defending champions to suffer much due to the Belgian's absence. "I think they have a fantastic squad," he said. "De Bruyne is a fantastic player, but for him to be out a few weeks, I don't think it's a drama for them. "They won the Community shield and at the Emirates without De Bruyne. They are a fantastic team and it's not a drama for them to lose a player for a few weeks."